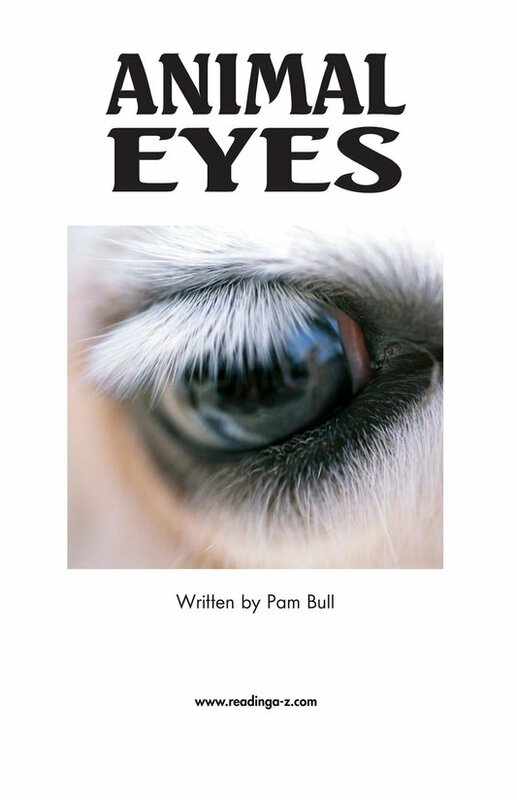 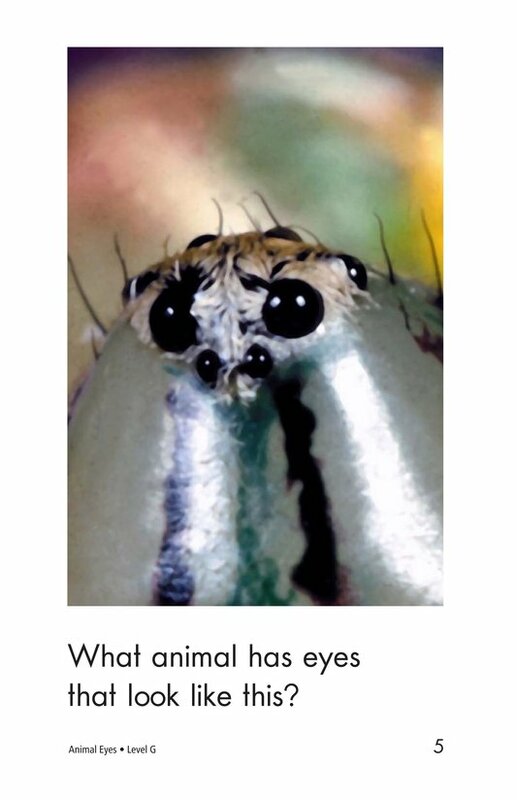 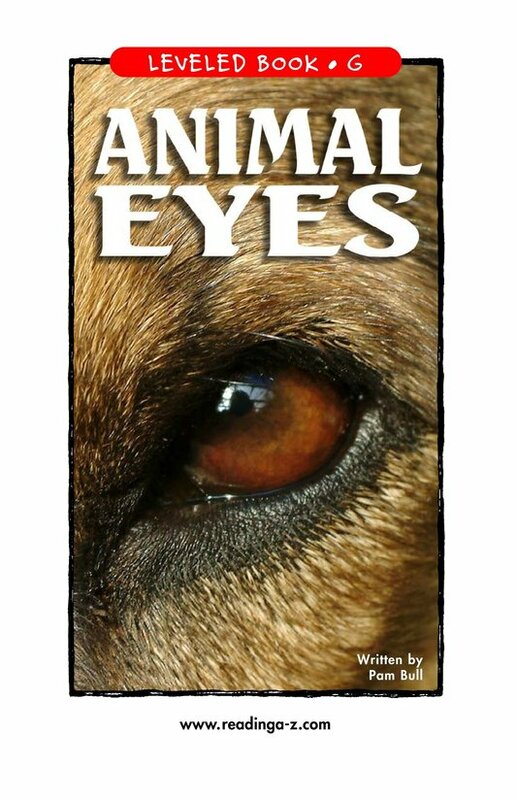 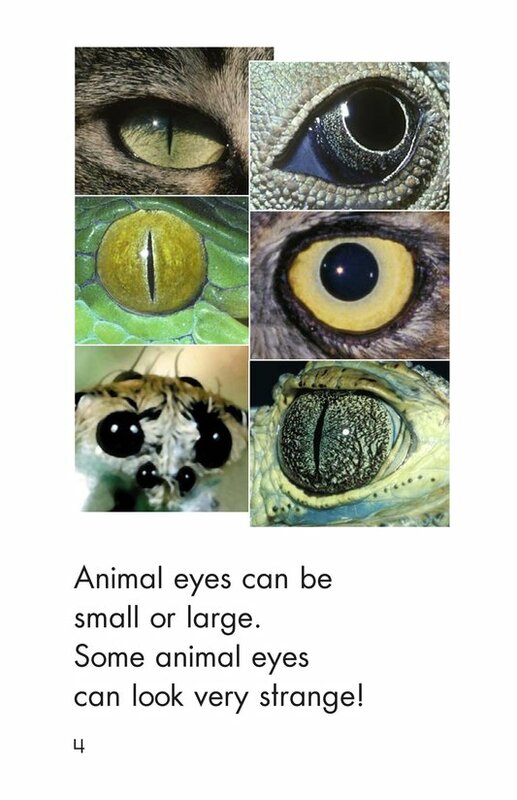 Animal Eyes gives the reader an up-close look at the eyes of some familiar animals. 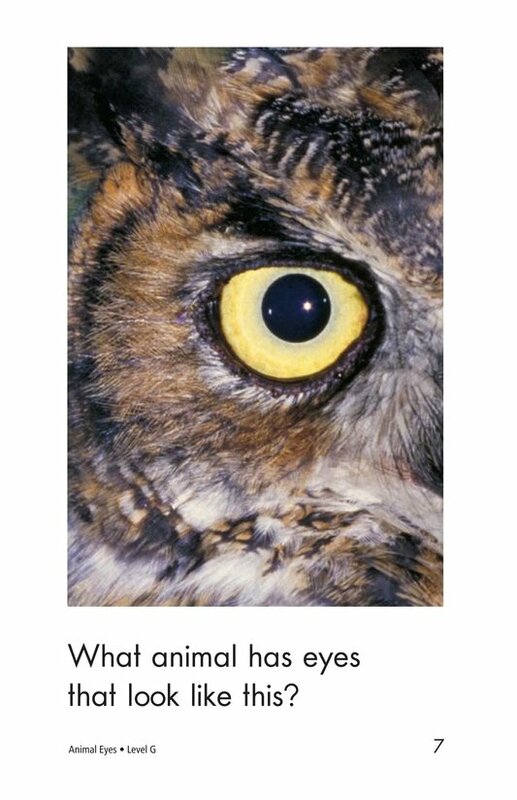 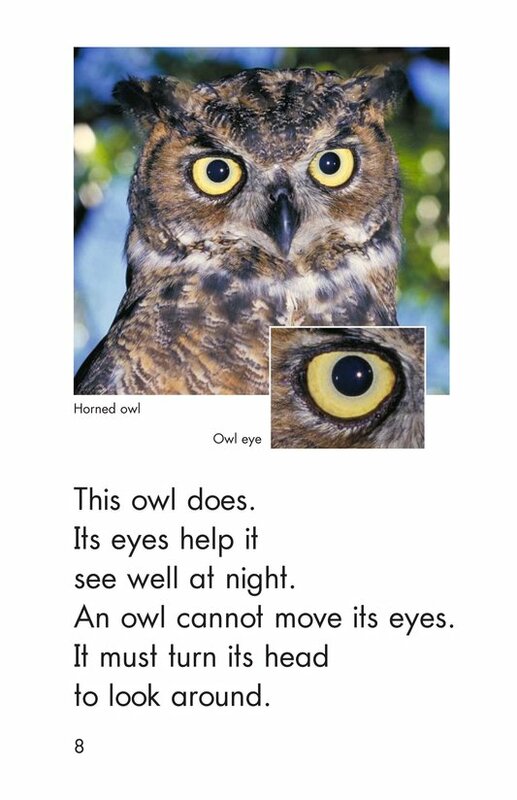 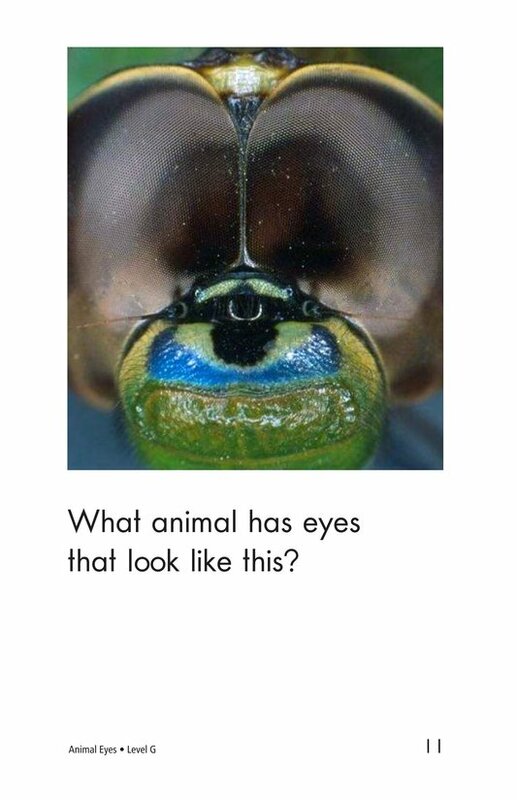 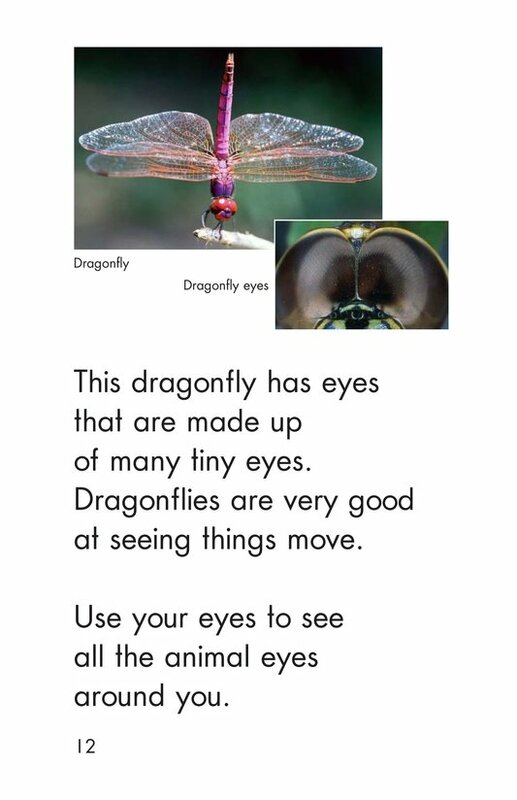 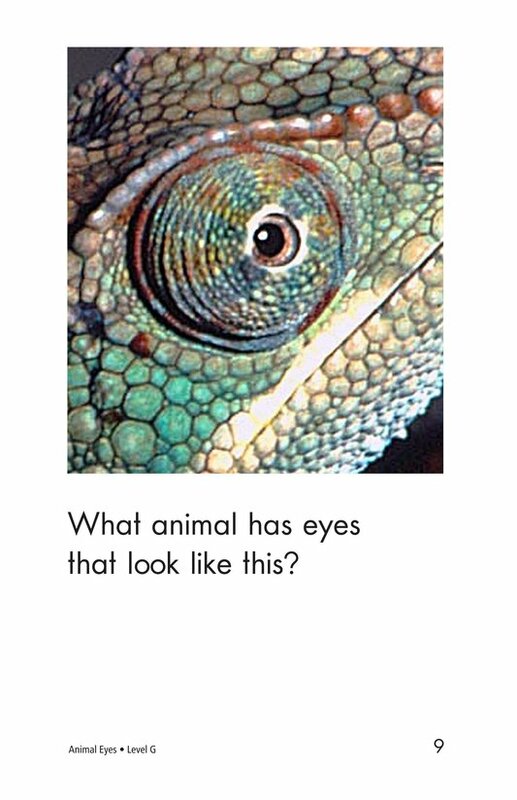 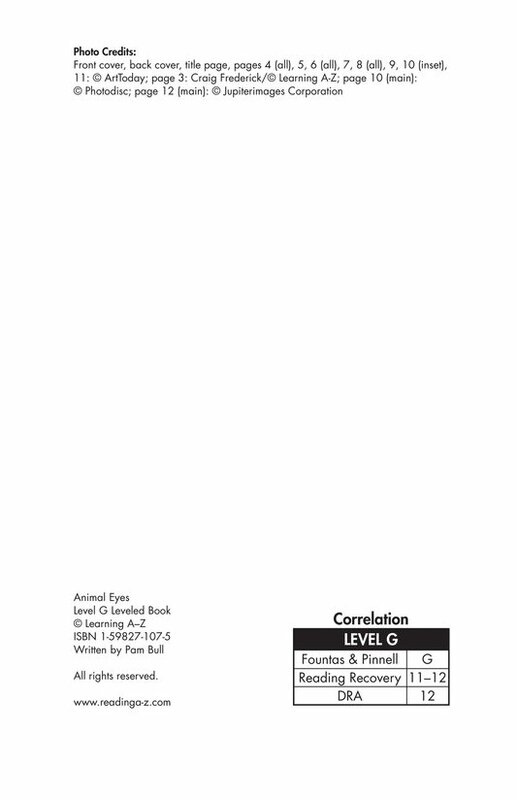 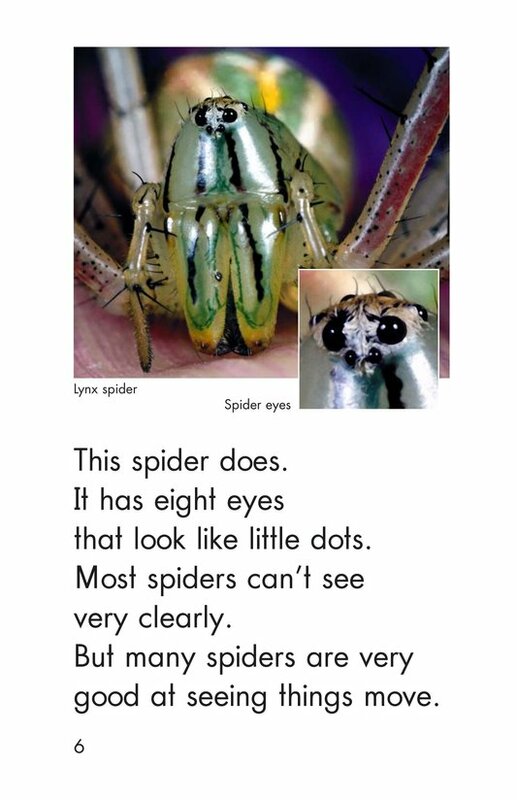 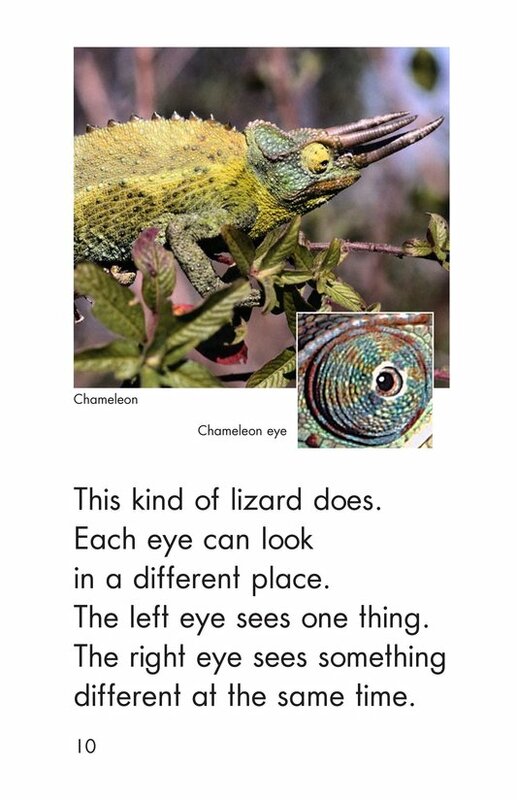 Readers are encouraged to guess what kind of animal has the type of eyes presented before turning the page to find out. 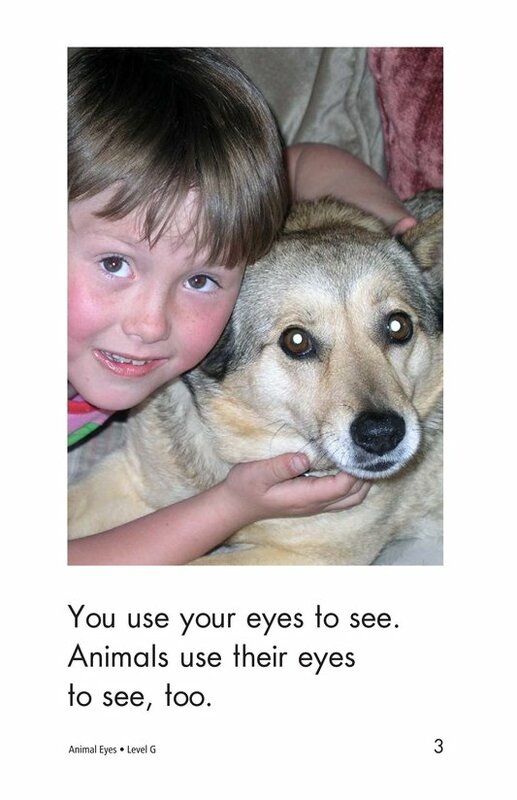 Photographs provide clues that help readers decode unfamiliar words.